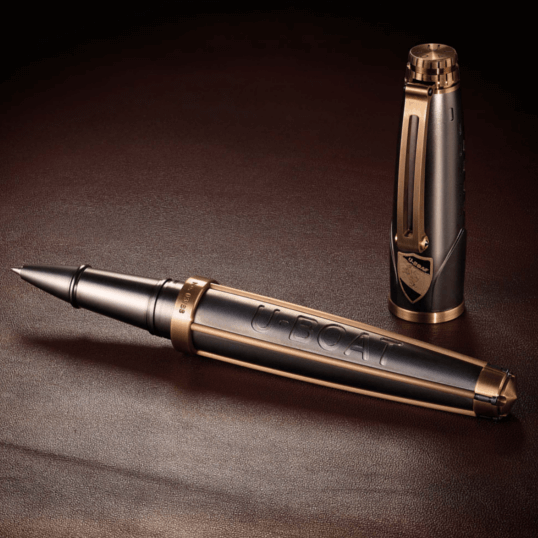 Made from Titanium and Bronze, two of the toughest materials in the world, this handcrafted rollerball pen boasts two black diamonds set into the pen clip (0.05 ct.). The heraldic shield with the panther of Lucca has been applied to this Rollerball Pen made from titanium and bronze. 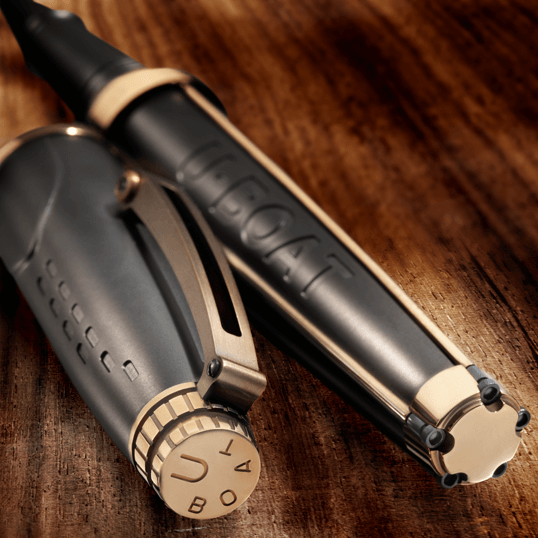 It boasts two black diamonds set in the pen clip (0.05 ct.). – Cap, barrel, tip and screws made of titanium with DLC coating. – Barrel finishing, cap end, junction ring, blind cap in bronze. – Bronze clip with black diamonds. – A heraldic shield with the Lucca panther has been added to the cap.